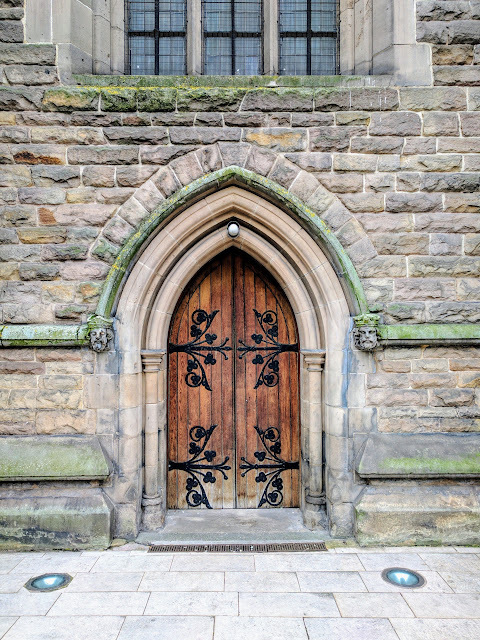 Birmingham England features so many things to do that it can be overwhelming. Sometimes it's handy to have a specific reason to visit to help focus the trip. With this in mind, we jumped at the chance to visit Birmingham in the UK for a Pet Shop Boys concert. The Pet Shop Boys were one of my favorite bands as a teenager and they were planning a tour! 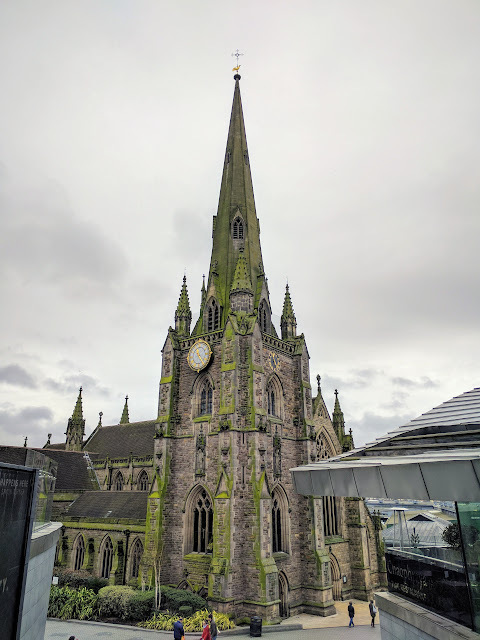 Sadly, they weren't planning a stop in Dublin (at the time we booked our trip to England) but on the bright side, it gave us the perfect excuse to visit Birmingham, the 2nd largest city in the UK. 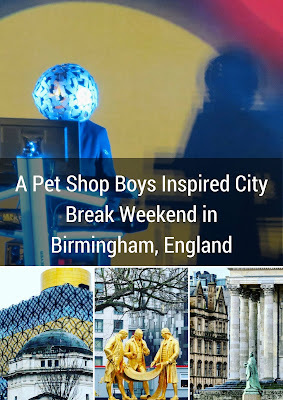 Read on for more about what to see in Birmingham as inspired by the music of the Pet Shop Boys. 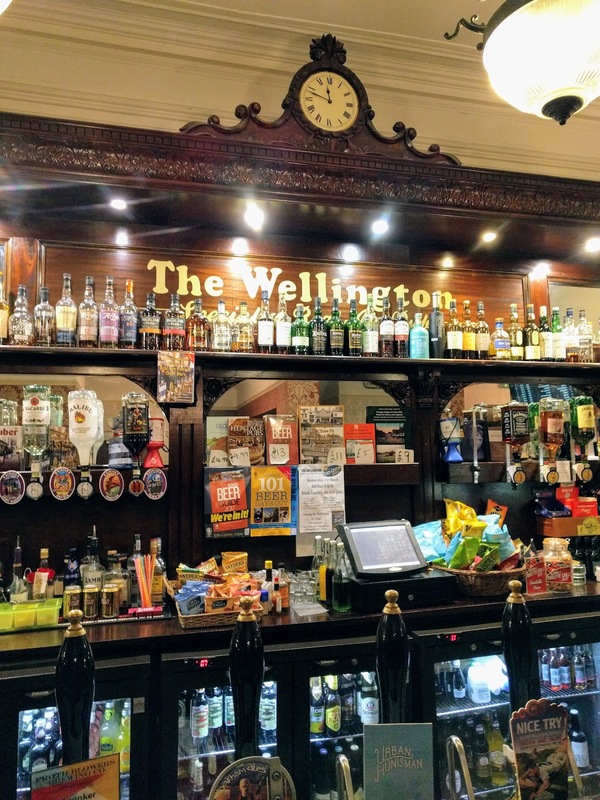 One of the things that immediately struck us about Birmingham was the number of pubs around town where you could pop in for some real English ale. It's true that I don't normally order English beer anywhere else in the world (it's too flat and warm) but somehow it just seems right in the UK. After the Pet Shop Boys concert, we wandered into The Wellington in Birmingham. The interior was classic Victorian and immensely charming. The clientele could have been tele-ported in from Dublin. The craic was fantastic and the locals were friendly and eager to strike up a conversation. We met Frank, a local who'd lived in Brum (locals' nickname for Birmingham) all his life. He was definitely a regular fixture at The Wellington and by the end of the evening we were posing for selfies to commemorate the occasion. We also met Nige and Wills who run the bar. Once again, this was a super-friendly and welcoming joint. I'm an artist, honey, you know how that feels? Birmingham is known for various shopping arcades. Piccadilly Arcade featured bold paintings on the ceiling and a variety of shops including a Cotswolds (my favorite travel clothing store in the UK) and hipster coffee at Faculty. Don't miss it! The Bullring in Birmingham's City Centre features a huge variety of indoor and outdoor shopping stalls. Find everything from short shorts and other colorful and slightly questionable clothing choices to fresh fish and produce. Join the throng of locals shopping in the Bullring on a Saturday to immerse yourself in Birmingham's vibe. And how much further can one go? Birmingham's city centre is anchored by St. Martin's in the heart of the Bullring. The building itself seemed to erupt from the square and was tinged with a charming green moss. The neo-gothic church was rendered even more startling when compared to the modern buildings and shopping malls surrounding it. Birmingham's Grand Central Station is definitely not boring! The facade is covered in a shimmering reflective silver material. Inside, you'll find a huge variety of shops and quality fast food. If you fly to Birmingham, you'll definitely pass through here. The fast and inexpensive airport train is the easiest was to get around. We absolutely loved the Warehouse Cafe. Located in, you guessed it, an old building in a neighborhood of warehouses, Warehouse Cafe serves fantastic vegetarian cuisine. We stopped in for lunch and a pot of tea. I have to say that I was absolutely delighted when my tea pot was served wearing a colorful knitted tea cosy crafted with love by a member of the staff. 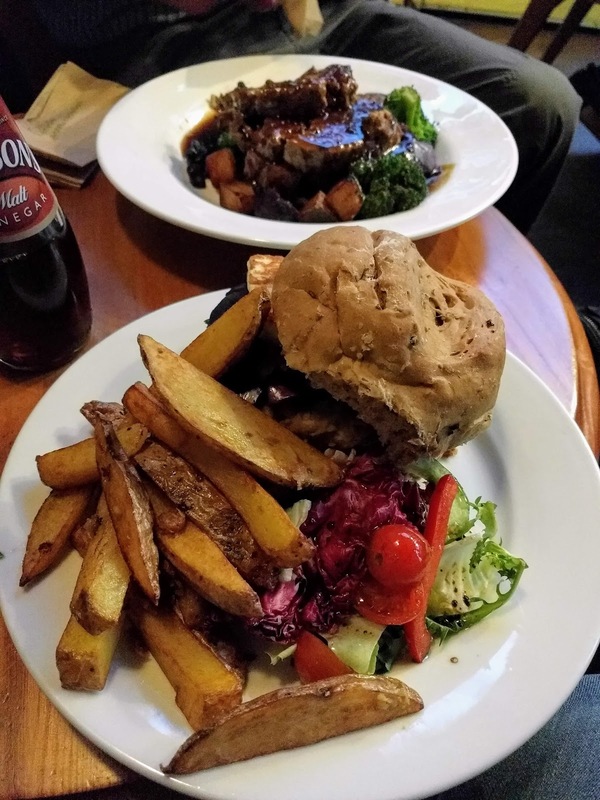 Visiting Warehouse Cafe in Birmingham will definitely bring a smile to your face and was one of many great places to eat that we discovered in Birmingham. We discovered some intriguing art not far from the Warehouse Cafe. This angry looking cyborg/robot(?) lives under the train tracks. I love how Birmingham is full of quirky surprises. The most iconic building in Birmingham has to be the public library. The library looks a bit like a tiered cake with blue and yellow layers surrounded by an intricate lattice work. Very impressive! Inside, the Library of Birmingham is all modern with curved bookshelves and escalators that appear to tie themselves in a knot at each floor. The library is open to the public and features a small museum exhibit. When we visited, the exhibit was on Shackleton's harrowing voyage and tale of survival in Antarctica. Birmingham has it's share of famous residents including Matthew Boulton, James Watt and William Murdoch. The golden statue just across the street from the library by William Bloye and Raymond Forbes-Kings shows the trio poring over plans for the steam engine. The statue commemorates the role that the three played in pioneering the industrial revolution of which Birmingham was at the forefront. Birmingham is also famous for its Jewellery Quarter featuring the largest concentration of jewellery focused businesses in Europe. While the neighborhood was a hub for manufacturing businesses during the industrial revolution, the Jewellery Quarter is now gentrifying and is known for a variety of restaurants and shops. The Jewellery Quarter is a popular place to live in Birmingham. 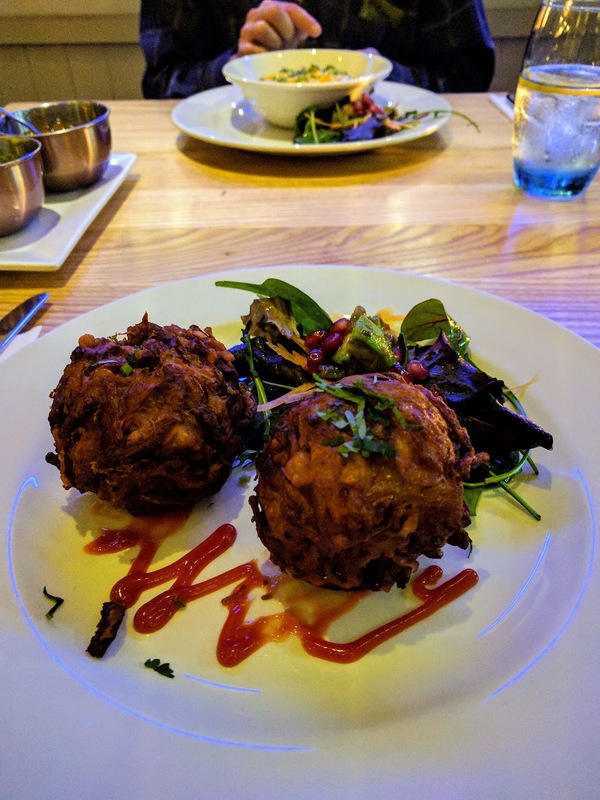 Where to Go for Dinner in Birmingham? Not unlike London, Birmingham is known for high quality Indian cuisine. We made a reservation at high-end and highly rated Viceroy Tandoori in the Jewellery Quarter. We noshed on perfectly prepared onion bhajee and fragrant curries. Delicious! We discovered on our weekend city break in Birmingham that the city is simply full of canals. We took a walk on a chilly morning and explored the quiet paths lined with houseboats. We were impressed by the range of sculptures and artwork that we stumbled upon in Birmingham. Keep an eye out for the heart-man (man heart?) at The Cube along the canal. Victoria Square is at the heart of Birmingham's city centre. Surrounded by intriguing sculpture, regal buildings, and flower gardens, definitely stroll through the square and take a moment to thank Queen Victoria for being the reason such a lovely spot exists. We love to squeeze in day trips even on short weekend city breaks. On Sunday in Birmingham, we boarded the train and headed for Tipton. Tipton station is about a 20 minute walk from the Black Country Living Museum. 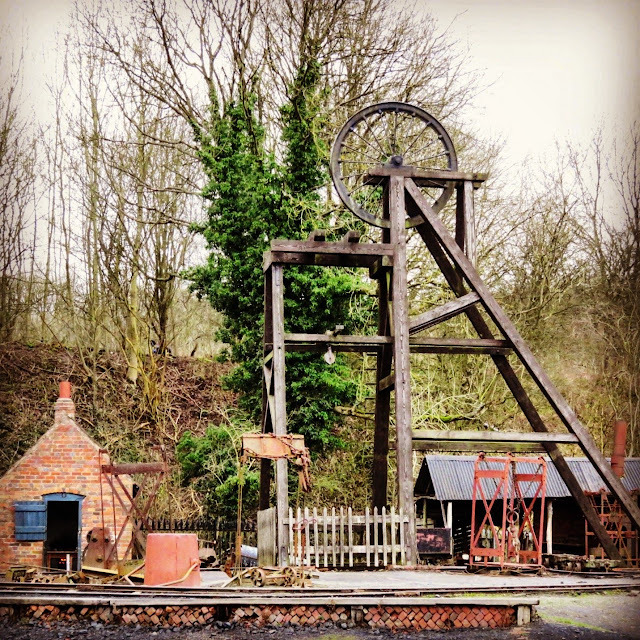 Experience what life was like at different periods of history in the coal country surrounding Birmingham. See a real working farm, ride a historic tram car, and walk through a village populated by period actors. We even saw a silent short film in a period theatre. The highlight for me was definitely walking into a former coal mine to understand what life was like and the dangerous conditions that the workers faced in order to make a living for their families. There are some great places to grab a meal in Birmingham. We popped into Cherry Red's Cafe Bar for a delicious falafel and halloumi burger with chips and a pint. Cherry Red's is about a 5 minute walk to the train station and it's an ideal place to grab dinner before catching the train to the airport. We discovered a variety of great places to grab a coffee in Birmingham and 200 Degrees Coffee and Barista School was my favorite. The cappuccinos were well crafted and they even had a faux neon fireplace tucked into the brick wall. Pure awesome as far as I'm concerned! 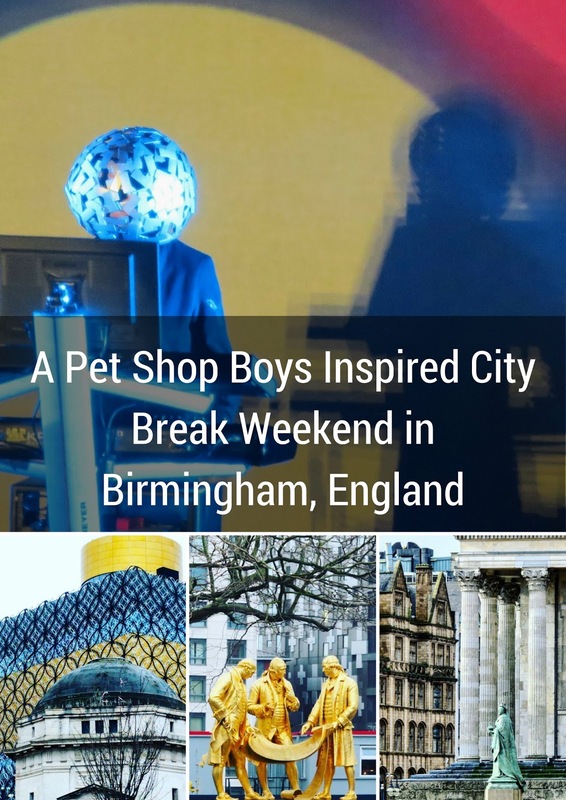 As you can see, the Pet Shop Boys concert provided an ideal back drop and inspiration for our weekend city break in Birmingham. If you're interested in seeing some clips from the concert, check out the video below. 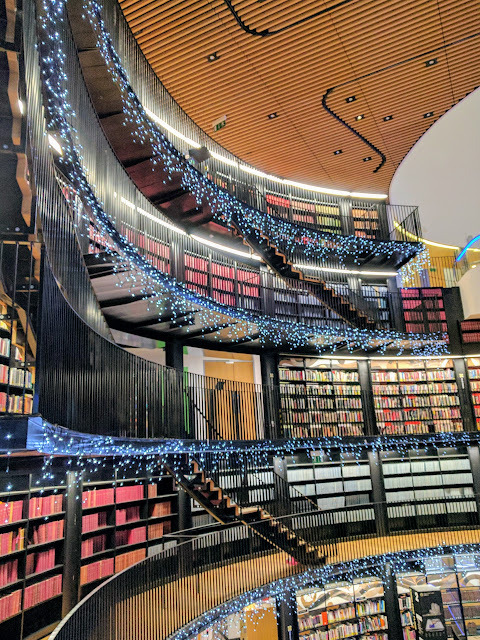 Also check out my map of places highlighted in this post if you'd like to recreate our Birmingham weekend. Have you ever used a concert as an excuse to travel? Tell me about by leaving a comment below. We are always looking for inspiration for our next trip! Acknowledgement: The lyrics for various Petshop Boys songs used in this post were researched using AZLyrics.com. Discover things to do in Birmingham England inspired by the Pet Shop Boys. 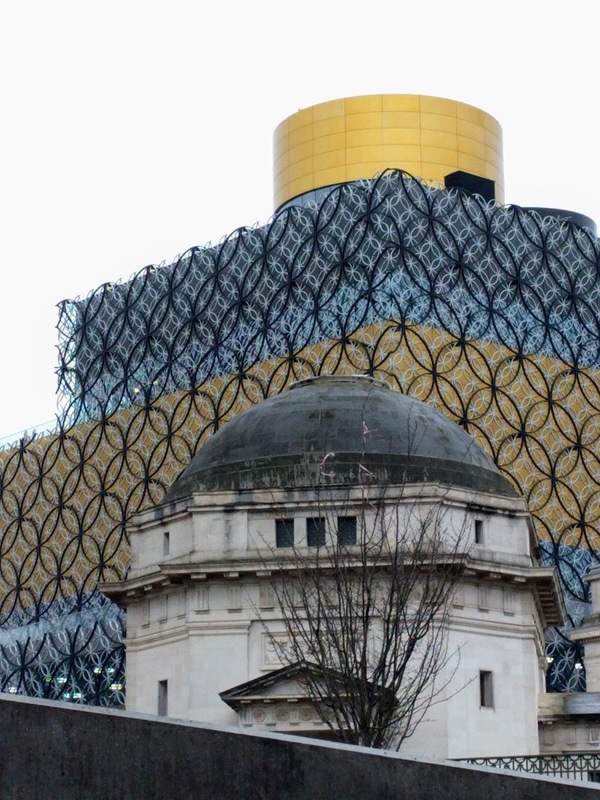 Find out what to see in Birmingham. Visit Birmingham for a weekend break.